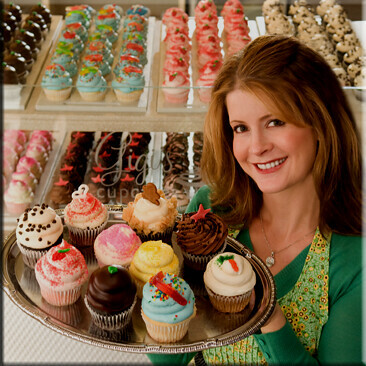 On Friday, February 13th, Gigi's Cupcakes will be featured on CBS’s hit show “Undercover Boss". The premise of Undercover Boss is that CEOs of companies go "undercover" to learn about the business and its employees. To celebrate the episode, all Gigi’s Cupcakes bakeries are giving away free cupcakes for a year to one lucky guest, plus several other sweet prizes. To enter, guests can register on Friday, Feb. 13 at the following address: gigiscupcakesusa.com/undercover-boss. Founded in 2008 as a local boutique bakery in Nashville, Gigi’s Cupcakes has grown into America’s largest cupcake franchise with more than 90 locations in 23 states. Gigi’s Cupcakes offers a wide variety of high-quality, freshly baked goods, including cupcakes, cakes, pies, cookies and more. Recipes are created by founder Gigi Butler whose “American dream” story has inspired people across the country. To learn about franchising opportunities go to Gigi's Cupcakes website.